with a zipper cover which is easily removable for spot cleaning. Choose an optionSingle - 72" x 36" x 6"Single - 75" x 36" x 6"Single - 78" x 36" x 6"Single - 72" x 42" x 6"Single - 75" x 42" x 6"Single - 78" x 42" x 6"Double - 72" x 48" x 6"Double - 75" x 48" x 6"Double - 78" x 48" x 6"Queen - 72" x 60" x 6"Queen - 75" x 60" x 6"Queen -78" x 60" x 6"Queen - 72" x 66" x 6"Queen - 75" x 66" x 6"Queen - 78" x 66" x 6"King - 72" x 72" x 6"King - 75" x 72" x 6"King - 78" x 72" x 6"
Put Poor Sleep to Bed! Calling all sleepistas! Meet your purrfect bedtime partner. 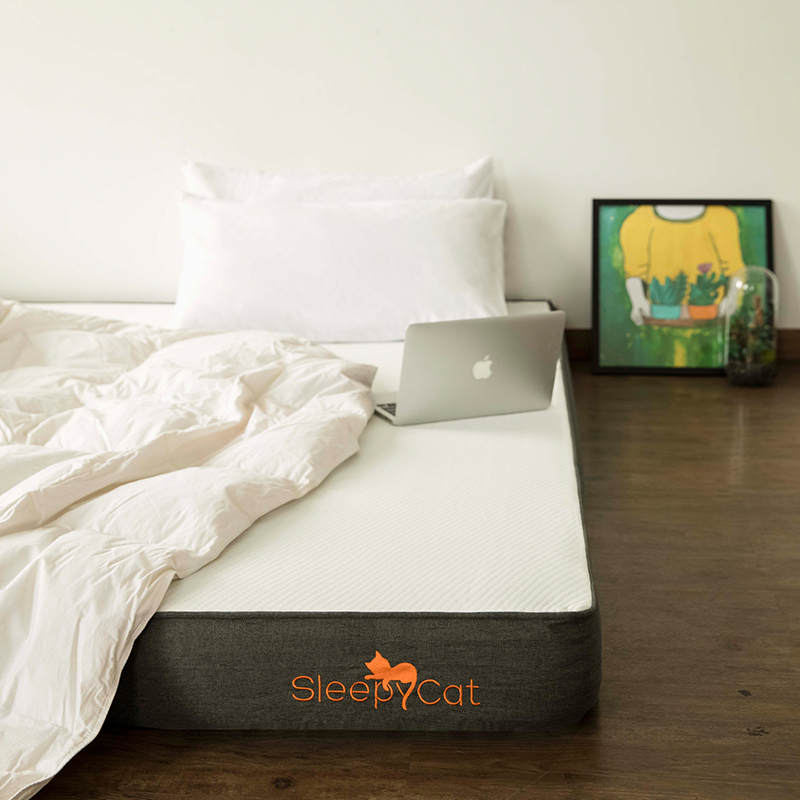 For superior spinal support and effortless sleep, here's our pressure relieving, 6 inch plush mattress, the SleepyCat Original. 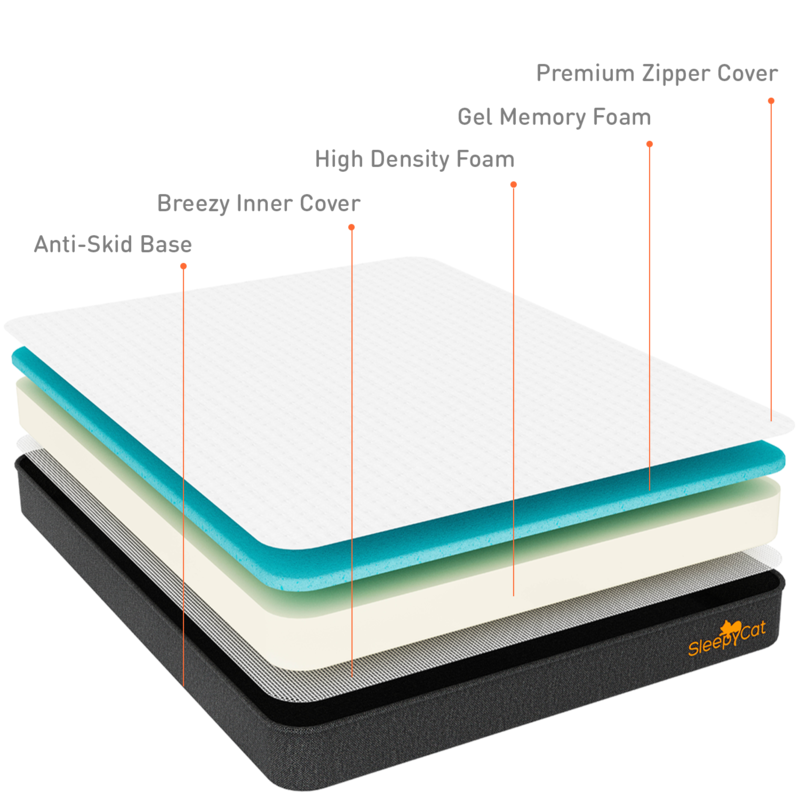 It is made of one layer of premium quality Gel Memory Foam that keeps you cool and prevents motion transfer so that your partner can sleep in peace, and one layer of High Density Foam for durability and firmness. 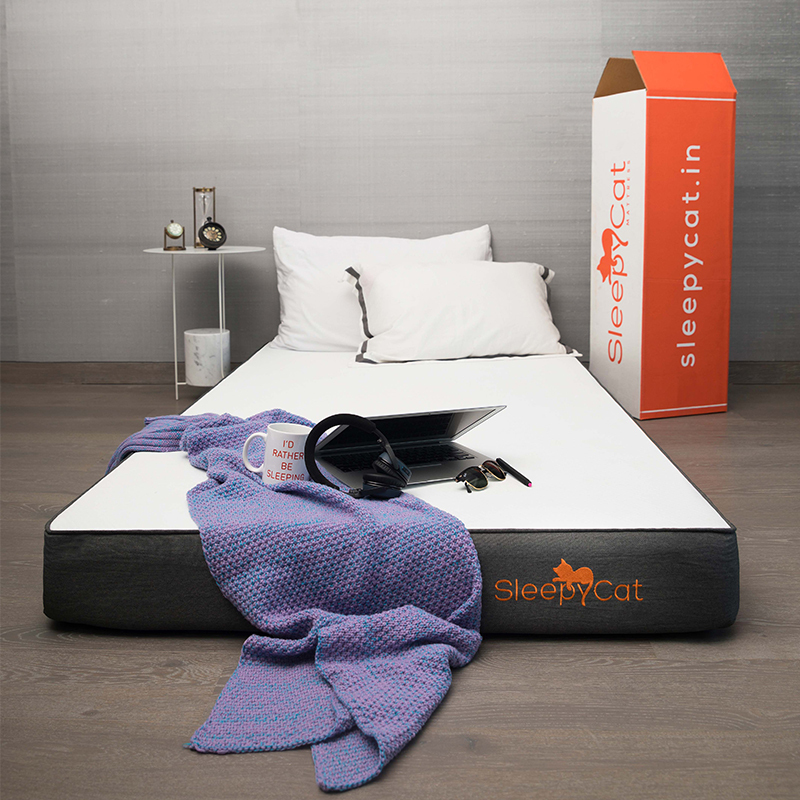 SleepyCat Original's handcrafted outer cover is made of high GSM knitted fabric for flexibility and smoothness. It has tiny holes at the top for breathability and ventilation and is easily removable for spot cleaning. It also has a 4 way stretch that grips your body and creates an anti-slide effect. When you move, it moves with you! The SleepyCat Original scores between 7 and 8 on our Firm-O-Meter. 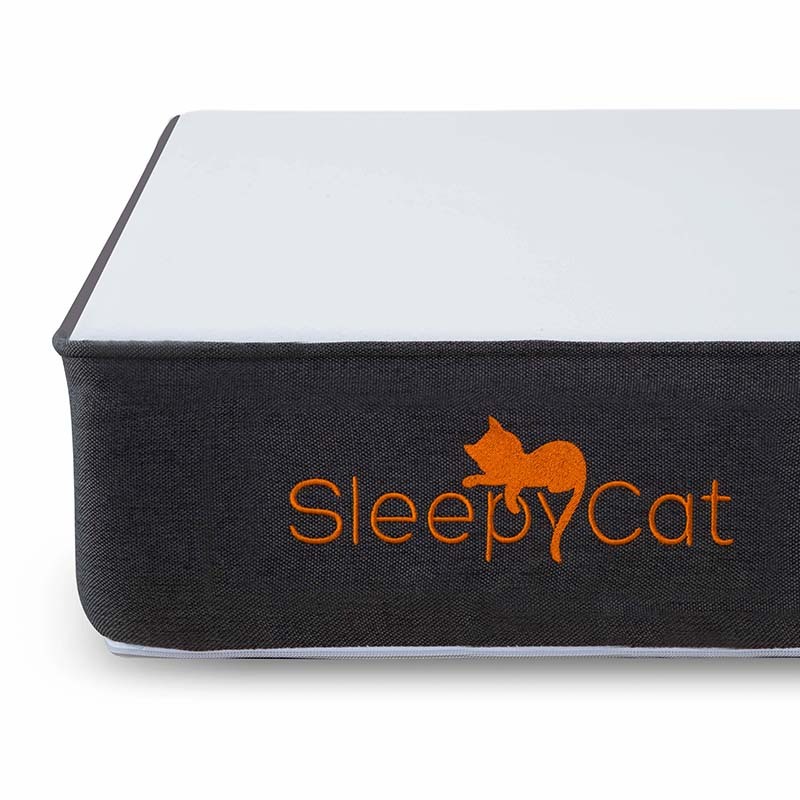 This one is purrfect for those looking for additional firmness, compared to the SleepyCat Plus.